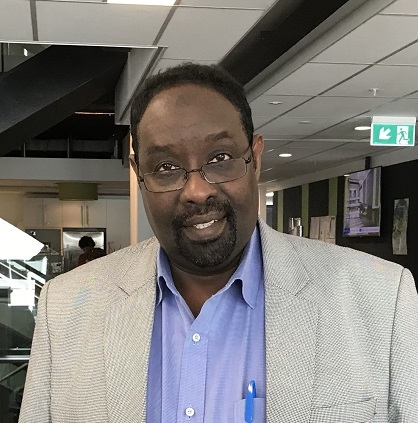 When Ahmed Hassan Tani arrived in New Zealand 20 years ago as a refugee from his the war-torn country Somalia, he knew his proficiency in English and his own profession as a teacher would stand him in good stead. His fluency in Arabic was another tool in his resettlement toolkit. This warm, exuberant New Zealander has in fact used those skills powerfully to support the refugee and the wider community. In recognition of that, he was made an Officer of the New Zealand Order of Merit (ONZM) in this year’s honours list. He is justifiably proud to have a letter from Prime Minister Jacinda Adern congratulating him on being the recipient of one of New Zealand’s top honours. Ahmed Tani deeply believes in the need for the different cultures in New Zealand to understand each other and sees connection and communication as the key. In turn, the host community must engage with those communities in order to learn about them and understand them. This is essential for the long-term wellbeing of our country, he says. When Ahmed arrived in Christchurch, he got straight to work, setting up the Somali Association. He then went to talk to the Ministry of Education about establishing a homework centre. Hagley Community College provided the venue and the Homework and Study Support for Students Year 1-13 now been running for 13 years. The refugee communities in Christchurch expanded in the early 2000s to include people from Afghanistan, Korea and Ethiopia. Under Ahmed’s leadership, the homework centre adjusted to accommodate those communities. He says that it hasn’t always been plain sailing bringing refugee communities together, but it’s an important part of their journey here. He has become expert in finding the common ground. “Working together makes better sense. We get better results,” he says. Ahmed acknowledges two people who have supported him consistently over the years and helped him understand how the New Zealand system works. They have opened doors for them and trusted that they have the solutions to their problems within their communities. One of those people is E Tū Whānau’s Ann Dysart who Ahmed met in 2002 when she was managing the Settling In initiative. He credits her with being one of the few people who understood the need for refugees to have their own voice in forums with government and NGOs. With her support he led the establishment of the Canterbury Refugee Council which became a significant player both regionally and nationally. Ahmed was also one of the founding members of the first-ever national voice for refugees, the National Refugee Network. Ann Dysart has nothing but praise for the commitment and leadership Ahmed has shown over the past two decades. His relationship with the Somali and other refugee communities was invaluable following the Christchurch earthquake in 2011. “The thing about Ahmed Tani is that he does things because it is the right thing to do,” says Ann. The other person who has provided the right support at the right time is George Clark. “George played a key role in brokering relationships for the refugee community. He opened doors and we walked through,” says Ahmed. George Clark was the person who connected Ahmed with Rehua Marae. Ahmed quickly mobilised various refugee communities to help themselves and support each other, as well as the wider community around them. He knocked on 300 doors to find out what people needed. He encouraged people to pool their resources with their neighbours. “I encouraged people to share. If one family has water, one has food, you put those together and everyone has enough,” says Ahmed. He says violence within families increased following the earthquake and that is one of the priorities that needs to be tackled in the coming year. E Tū Whānau congratulates Ahmed Tani ONZM for his long commitment to supporting the resettlement of refugees, for working to connect them with host communities, and for his determination to ensure that refugees have a voice.